We’ve been having our share of rainy days lately, it’s feeling very much like Fall now and I’ve been drowning in soup after soup—mostly this Quinoa Sweet Potato Lentil Soup, this Sweet Potato Black Bean Soup, and this Moroccan Lentil Beans Soup. All seriously filling and hearty soups. And probably one of the best way to cheer up on grey days. I’ve certainly had a few of those lately. 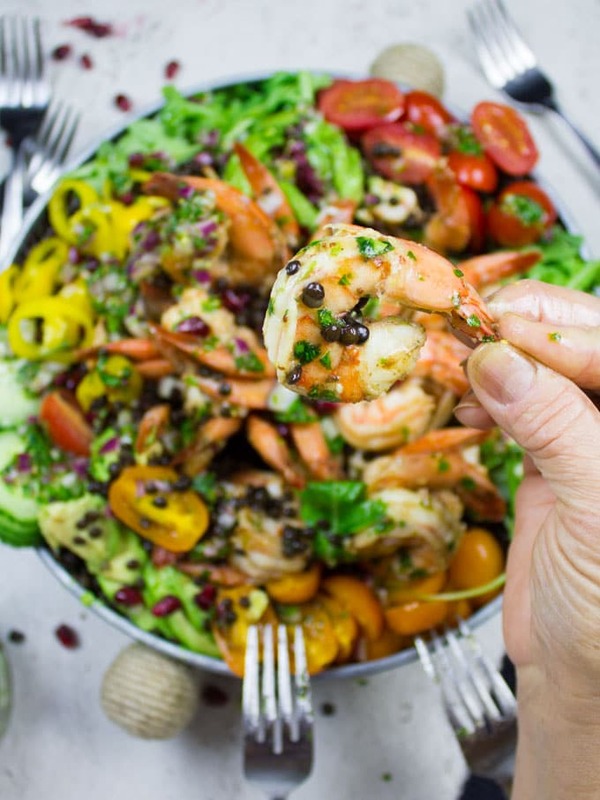 I’m still super excited to chat about the shrimp salad recipe here, but I wanted to tell you about my friend’s son who’s been terribly sick lately. It’s been tough trying to stay positive and strong while watching a young gentleman struggle so much for his health, and watching his family helpless around him. It suddenly seems like your perspective of things in life are wrong, and almost out of balance. It feels awful. At some point you wish things could be still, and life to wait for you while you’re trying to help that family. But it doesn’t. So you end up fluctuating up and down, happy and sad, positive and negative, hopeful and hopeless… everything. And I know it’s wrong, I should rather stay positive and hopeful for them all the time-which I am when I’m around them. But the minute I leave, things start to crumble here and there in my mind. 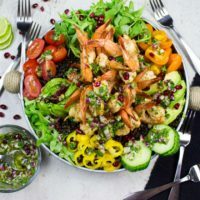 I don’t want to take away from the shrimp salad recipe and make this post irrelevant for you guys, so I’ll just keep it at that. But finally, if you could send in positive thoughts and prayers for Z’s family—that’s all they need right now! Thank YOU! Another salad recipe? YES! Can there ever be enough?! I’m a die hard shrimp person. 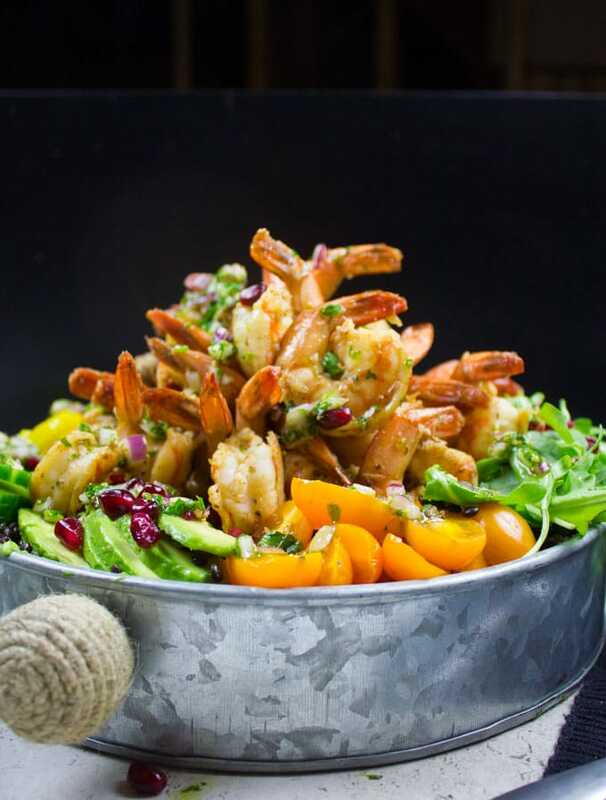 Do you remember this Shrimp Salad with Avocado Dressing recipe? It’s one of the really old recipes on my blog, but a real crowd pleaser. Shrimp is my go to for last minute dinners—it cooks in literally 3 minutes 🙂 so it’s certainly worth every succulent bite! For today’s recipe I’ve broiled my shrimp—really high heat, salt, pepper, garlic, lemon and paprika. I think I mention this in almost all my posts, so I’ll stress it here too—the other salad ingredients are totally up to you!! 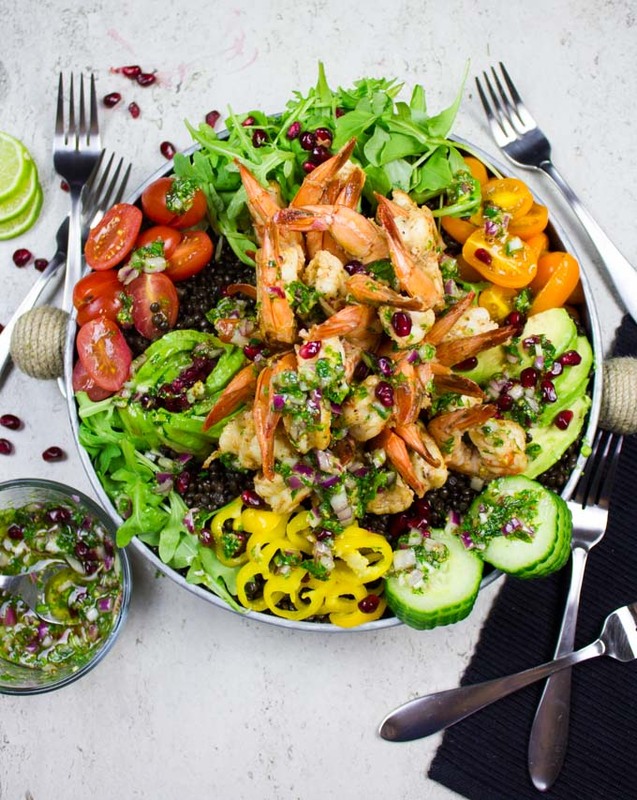 feel free to add, take away and swap things around to make it your own and make it feel like it’s your dream shrimp salad recipe plate! 🙂 I’ve added greens, juicy coloured cherry tomatoes, crunchy cucumbers, sliced bell peppers, sweet pomegranate arils and sliced avocados. Finally, the dressing. I wanted something sweet to compliment the lentils, shrimp and the other veggies. So I chose white balsamic vinegar. I also wanted some freshness to the salad, because lentils tend to love that, so I added some fresh oregano and parsley. I went back n forth between garlic and shallots, and shallots were my pick! They compliment the white balsamic vinegar the most 🙂 Now all you need is a touch of honey and some olive to make this dressing utterly smooth. 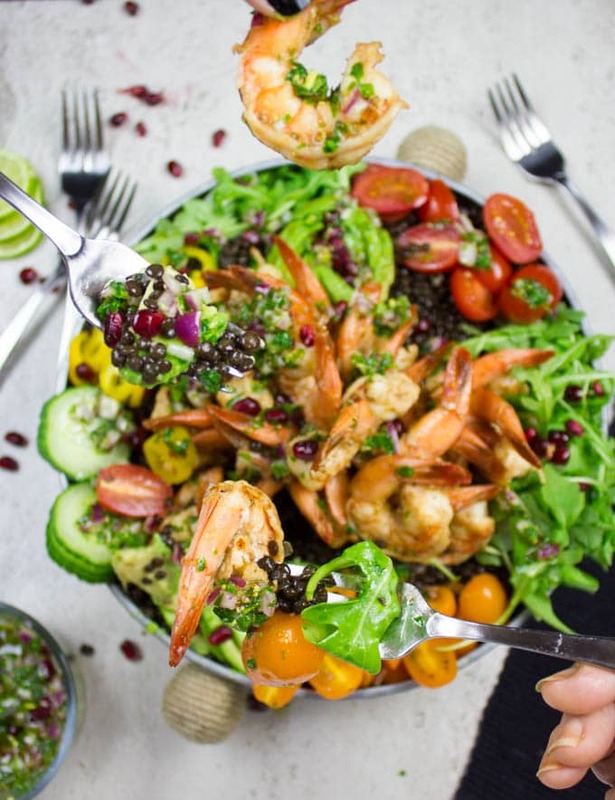 Drizzle the dressing over the salad, invite people you love to share this simple yet hearty Shrimp Salad Recipe with Lentils and Enjoy!! Preheat the oven to broil and set it on high. Mix the shrimp with all the remaining ingredients and spread them in an even layer on a baking sheet. Broil the shrimp for 3-5 minutes most until they’re opaque and tender. In the meantime arrange the salad platter with the lentils and all salad ingredients. Make the salad dressing by mixing all ingredients in a small jar or container with a lid. Shake the container well until the dressing is homogenous. 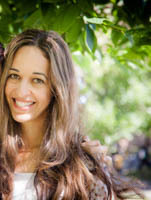 I’m sending positive thoughts your friend’s way…I can’t imagine dealing with one of my boys being ill! I don’t think there are ever enough salads so bring them on! 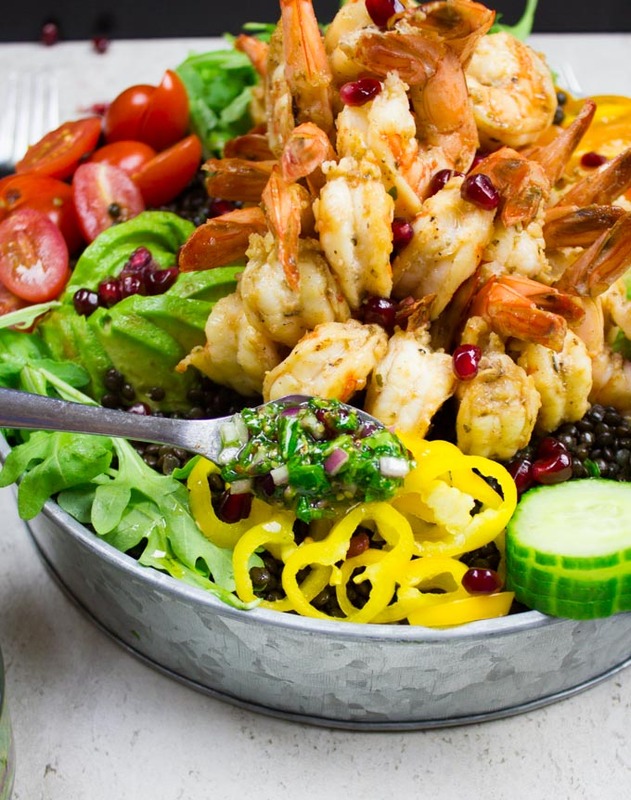 This looks so full of wholesome ingredients and that shrimp looks amazing! Marcie, you’re the BEST!! Thanks so much!! Things finally looked better a couple of days ago! 🙂 Oh and the shrimp is seriously good!